In 2008, cleaners on London Underground in the RMT struck for a living wage, sick pay, holiday pay and greater dignity in their working lives. Cleaners voted by 99% in favour of strike action; they saw this as an opportunity to halt the cleaning companies’ culture of sexual harassment, bullying and unjust sackings. The ballot result and the ensuing strikes were the culmination of over five years’ work. RMT cleaners and supporters on London Underground had recruited in depots and stations day and night, across hundreds of work locations. When a critical level of membership for an effective strike was reached, the strikes were called. And they were effective. Some depots had 100% participation. Trains and stations were not cleaned. 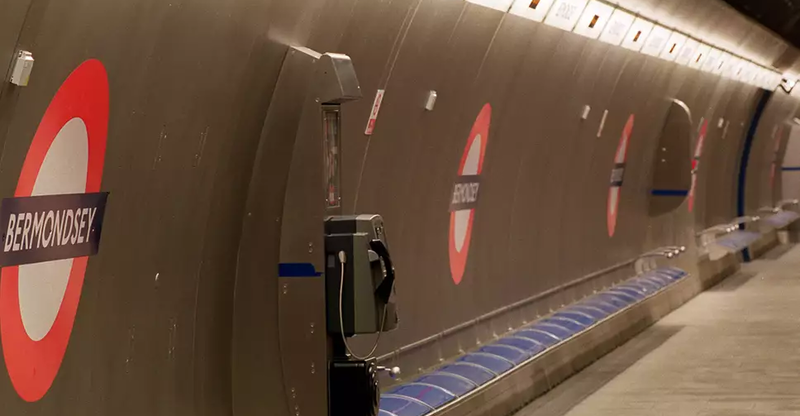 After one 24 and one 48 hour strike, Boris Johnson, Mayor of London at the time, was forced to listen to the public and political support generated by the strike, and agreed to implement a living wage on Tube cleaning contracts. It wasn’t a complete victory, but it was a massive step forward for a group of workers who had hitherto been considered too ‘weak’ to organise. At the time of the strikes, those of us who were involved congratulated ourselves that it was probably the largest dispute of mostly undocumented migrant workers in British labour movement history. We soon learnt that this meant it would be met with virtually unprecedented levels of victimization, utilising immigration law and the state. In the immediate aftermath of the strikes, the cleaning companies wrote to their employees, suspending them without pay (basically sacking them), alleging irregularities with the National Insurance numbers that the cleaners had been using for years. The cleaning companies had been happy to employ a cleaner from Nigeria or Ghana, without too much interest in their immigration status, as long as they were meekly accepting poverty pay, but the minute that the cleaners started to assert themselves, the weaponry of the immigration system was at the companies’ disposal. Cleaning companies called their staff en masse to their offices to present their National Insurance numbers for inspection. In one case cleaners were taken away by the Home Office when they booked on for work. RMT, immigration rights campaigners and strike supporters took legal advice and held protests to attempt to resist these tactics. Throughout history, immigration controls have never substantially reduced the number of migrants entering a country; their primary function has always been to create a section of the working class without rights, who the bosses hope will feel isolated from the rest of the labour movement and too afraid to fight. What happened to the cleaners in 2008 demonstrates that this is the case. The membership that we had spent years recruiting evaporated in a matter of months. Many cleaners simply stopped coming to work out of fear. We had to start all over again. Every subsequent strike or struggle that the RMT has organized amongst cleaners has been marred by similar problems. In 2012, cleaners went on strike for a pay rise over the Olympics. Weeks later, cleaning contractor ISS summoned 30 cleaners to an office in Stratford, apparently to receive “an award” for their work during the games. When they got there, they found UKBA and the Met waiting for them. Some of them were in the UK on student visas, and were deported. Some people argue from a left wing point of view that, if we leave Europe, we will find it much easier to build a Corbyn-led socialist Britain. But workers’ self-organisation is the basic building block of socialism. If workers are not free to organise a strike, they certainly won’t be free to build a socialist society. Plus, when a section of the working class is not free to organise, workers’ organisation is in general weaker. How does that bring us closer to making socialism? Brexit means more borders, more undocumented, vulnerable workers. It will not be progress to subject EU workers to the fate of the striking cleaners in 2008.